Salvia officianalis, as the Latin name implies, is the original aromatic foliage used for centuries to flavour stuffing, meats and even make sage tea. of course, nothing says stuffing like good old Garden Sage. 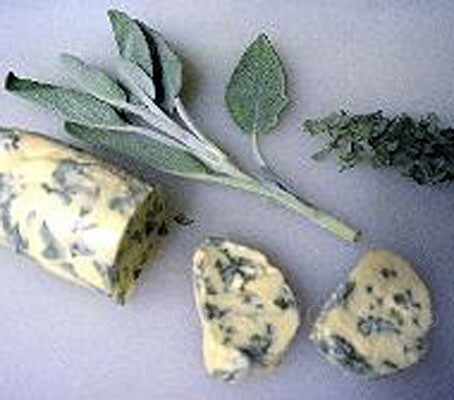 Besides the traditional use, Sage is good with cheese and is often combined with thyme and used with beans and in soups. Use it with fruits in vinegars. The flowers make an attractive garnish in salads, butters, soft cheeses, and ice cubes. 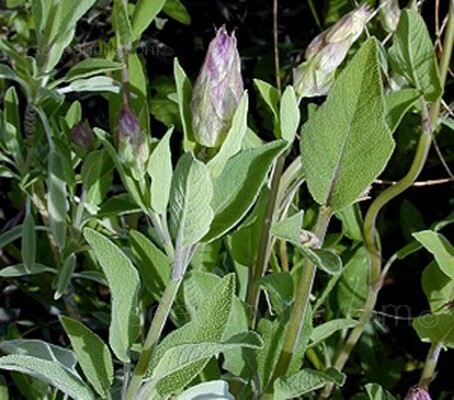 Garden Sage rivals many of its ornamental Salvia cousins during its three to four week bloom period. Flowers of common sage are extremely attractive to butterflies and bees. There are several varieties of sage with different coloured flowers and even variegated leaves (some fine for kitchen use), although none are as hardy as the common sage. 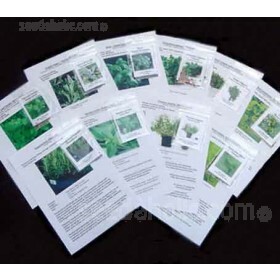 It is suitable for herb gardens, container gardening, perennial gardens, and cottage gardens. Sage will grow almost anywhere as long as it is in full sun for a good part of the day. What sage does not like is soil that is moist all the time - it is a native of Mediterranean areas. Sow indoors in March or in April to May outside. Seedlings should be ready to transplant in six to eight weeks. Avoid keeping the medium too moist. Transplant to 7.5cm (3in) pots or trays. Gradually acclimatise to outdoor conditions for 10 to 15 days after all risk of frost. Simplicity itself – but remember to put a good layer of stones at the bottom for drainage and keep the plant on the dry side throughout its life. A feed every month with general purpose liquid plant food will be enough. Sage can be grown indoors as long as it is placed on a sunny windowsill - it will stand direct sunlight with no problems. Work in a couple of handfuls of bonemeal to the surrounding soil at the beginning and end of each summer. After the flowers die down, prune the plant to about half its size. Other than that, leave it to fend for itself. One word of warning - in dry spells, resist the temptation to water, sage prefers dry sunny conditions. Monitor plant for root rot, if in very wet soils. For everyday use simply cut off the leaves with scissors or pinch off with your fingers as and when required. Sage is best used fresh, although leaves frozen in a plastic bag are an excellent alternative..
For drying large amounts of leaves, wait until after the plants have grown back after pruning blooms. Wash the plants with a fine spray of water the night before; and the next morning, when the dew has dried, cut stems as long as possible without cutting into old wood. Hang these in bunches of three of four in a dark, dry, clean area. As soon as they are crispy dry, strip the leaves (whole, if possible) and seal them in an airtight container placed out of direct light. Dried sage lasts almost indefinitely if stored in an airtight bottle in a dry place out of sunlight --at least until spring brings fresh, tender leaves again. Herbal tea made from sage leaves have a calming effect and are touted as an effective way to improve digestion. It is also popular for alleviating coughs and congestion. 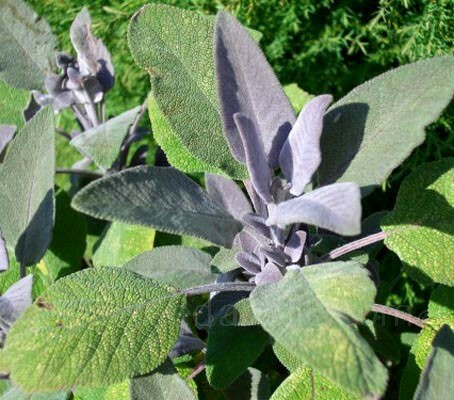 Sage is the companion plant to Cabbage, Carrots and Rosemary. It repels all insects including the Cabbage Butterfly, Bean Beetle and Carrot Fly. Salvia, from the Latin word meaning 'I heal' or 'safe', refers to the medicinal qualities of some species. The Greeks used this healing herb for many ailments, including snakebites.